We begin the year on an island. Which is not an unusual circumstance for a heritage advocate… But don’t let me lead you to believe this is another negative news story. No, we are starting on a positive note for a change (hopefully)! 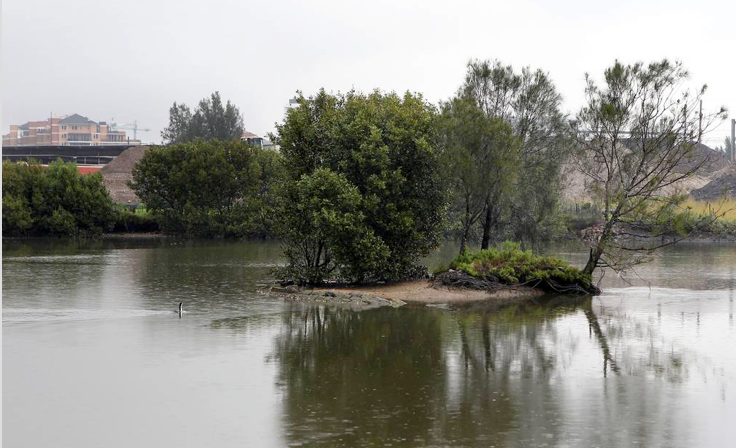 Fatima Island, on a bend in the Cooks River at Tempe, is a small vegetated mudflat that has been disintegrating by the year. Now it has come to the attention of the Cooks River Valley Association who have duly raised awareness with Marrickville Council. The island will be immediately recognisable to the many commuters who travel by train into the city every day along the Illawarra Line. As the city bound train crosses the bridge at Tempe the island comes into view from the east – I can clearly remember over my years of commuting to the city, looking out and seeing the little island sitting there, often populated by waterbirds oblivious to the rapid urban development encroaching all around… Fatima Island, and closer to Central, Sharpie’s Golf House sign, the first electrified advertising sign in Sydney, taken down in a blatant act of heritage vandalism several years ago – these were the two landmarks that stand out in the memory of my daily commute whilst peering out of the train window. Although Sharpie’s Golf sign is long gone, sadly never to reappear, Fatima Island is still clinging on to the riverbed in its isolated vulnerable form. It is in fact the last remaining of a series of natural sand bars, and provides vital pest-free habitat for waterbird species including pelicans, ibises, cormorants and seagulls. Recent picture of Fatima Island by John Veage, the Leader newspaper. 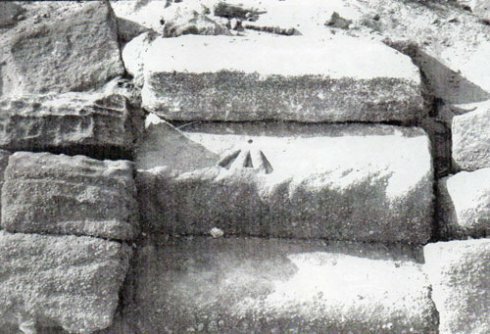 Fatima Island in 1984. Photo by Chrys Meader. 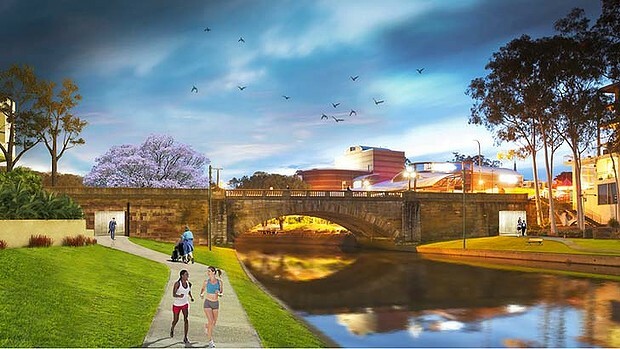 Source Marrickville Heritage Society & Cooks River Valley Association. 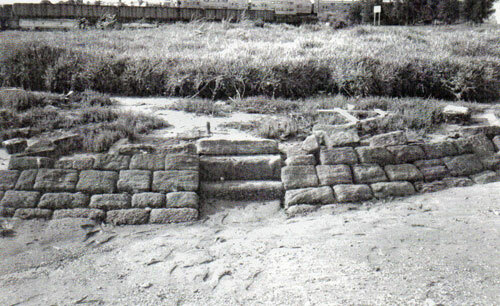 Fatima Island in 1984. reclaimed convict stone retaining bank present. Photo by Chrys Meader. 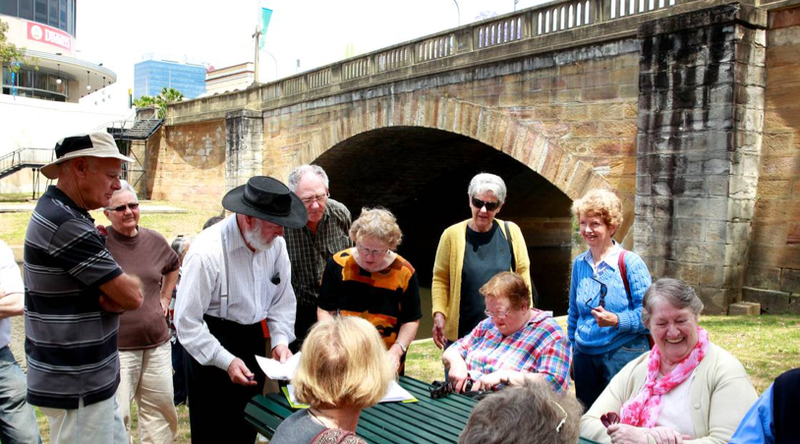 Source Marrickville Heritage Society & Cooks River Valley Association. Fatima Island in 1984. Note convict markings in steps. Photo by Chrys Meader. Source Marrickville Heritage Society & Cooks River Valley Association. The wall has recently all but washed away due to factors such as boat wash, human visitation, de-stabilisation and natural erosion. The island is now only a fragment of what it once was, trees have fallen over and top soil been stripped away, and the next phase would be its complete loss in time. Marrickville Council seems to be listening to concerns of local groups including Inheritance. In response to our submission and at a recent council meeting the feedback has been positive, and it now seems that Marrickville Council will be allocating $25,000 for a remediation works study on Fatima Island. This will go some way to restore what is esentially a significant bird habitat, a known piece of local heritage and a quirky piece of nostalgic landform with links not only to the Catholic Church, but the local Portuguese community and 1950s cold war! Something as unique as this is surely worth protecting. And it is indeed heartening to see a council actually acting on behalf of a community for a change. Main image John Veage, the Leader. Not one that gets its glow from brightly whitewashed walls under a tightly thatched and bound wheat straw roof. Not one that breathes the soft air of lavender down a misty cobbled path behind box hedge in an English country garden. But something more rugged. Something more natively suited to where it finds itself, something that reflects the brashness and personality of a people and a land once far removed from the rest of civilisation, a distant and wild place that took in the unwanted element of British society, flung across the high seas; a new and fledgling colony where things, as they have thrived and progressed, could just as easily have withered and died away for good had it not been for the determination and sheer tenacity of its new inhabitants to make it succeed. Not on the dusty weathered plains beyond the Great Dividing Range, although there are such things there. Not in the rustic shambolic remains of gold diggings scattered through towns along the dry western rivers and creekbeds, although there are such things there. Not in the rugged windswept landscape of an Arthur Streeton oil painting, though such things certainly are there. This cottage exists in the very heart of the palm and grevillea tinged suburban ideal of the Sutherland Shire, a southward expansion of the city of Sydney, only footsteps from the lapping waves of Botany Bay, that hallowed body of water where Cook and his party came ashore to pronounce a new foundation of European acquirement. In the years and decades that followed that initial landing, the colony would grow and augment, to the west, the north and south. Free settlers would arrive to replace the legions of convicts, commercial trade would be born, farming and working of the land to feed the bustling colony, building and development expanding into an almost limitless boom that continues to this day; fortunes would be made, by those willing enough to take an entrepreneurial chance. One such fortune was that of the English immigrant Thomas Holt, born 14 November 1811 in Yorkshire, who came to Australia in 1842 and gained great wealth and fame as a wool trader, financier and businessman. 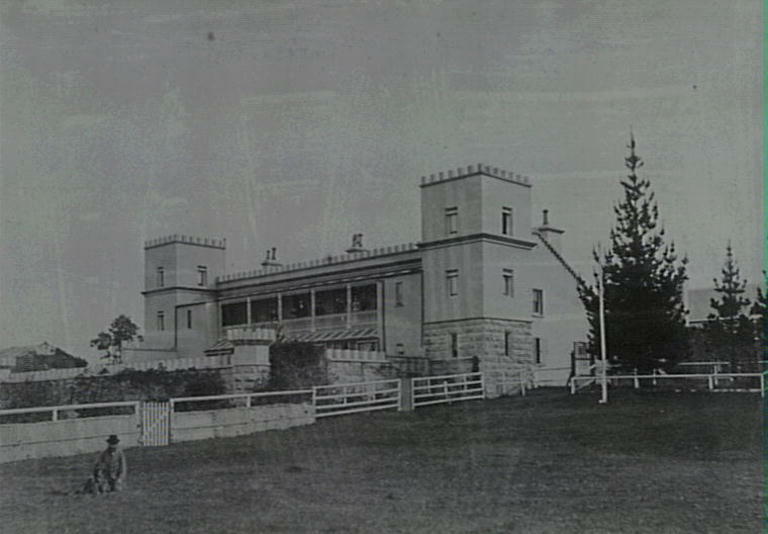 He soon became a successful landowner, building six mansions south of Sydney, including a Victorian Gothic grand estate ‘The Warren’ in Marrickville. 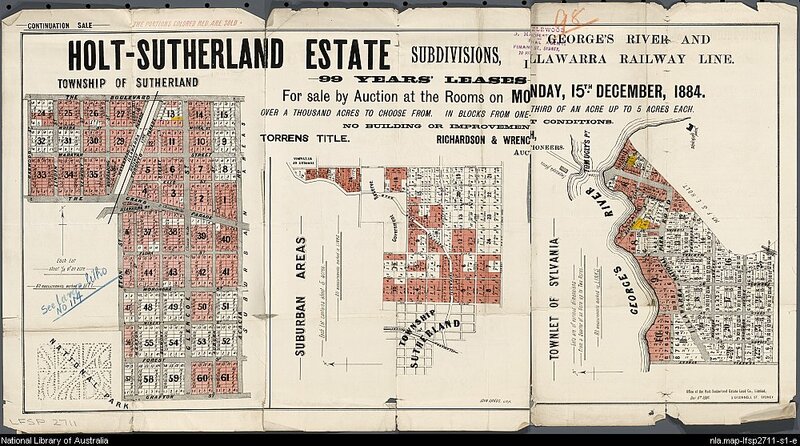 He invested in over 3,000,000 acres of pastoral land across NSW and Queensland and consolidated more wealth selling holdings after gold was discovered in the 1850s. He was at various stages a director of the Sydney Tramway and Railway Co. as well as City Bank. He was also a successful parliamentarian, being member of the inaugural Legislative Assembly and the first Treasurer of the colony. 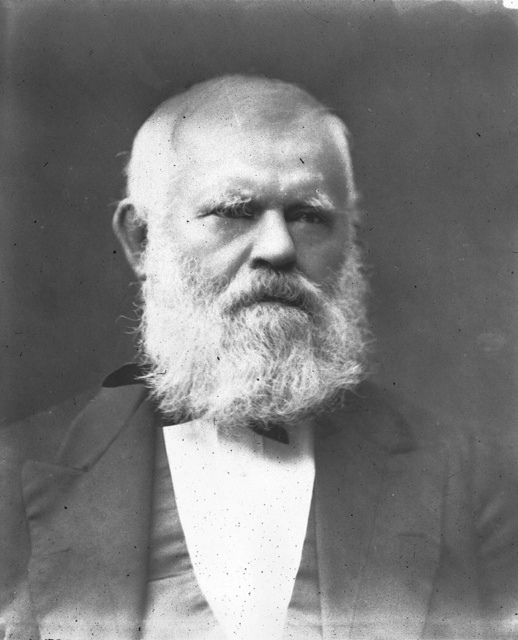 Later in life he would found the Royal Prince Alfred Hospital, before returning to the country of his birth and continuing charitable work for the Salvation Army and the Rev. A. Mearns and Dr Barnardo, publishing Christianity, or the Poor Man’s Friend before passing away in 1888. Among Holt’s many achievements he also holds the dubious honour of playing more than just a minor part in Australia’s great rabbit plague, after several of the beasts escaped from the grounds of his well stocked Marrickville mansion ‘The Warren’ and hopped off into the Sydney sunset. The rest, as they say, is history. 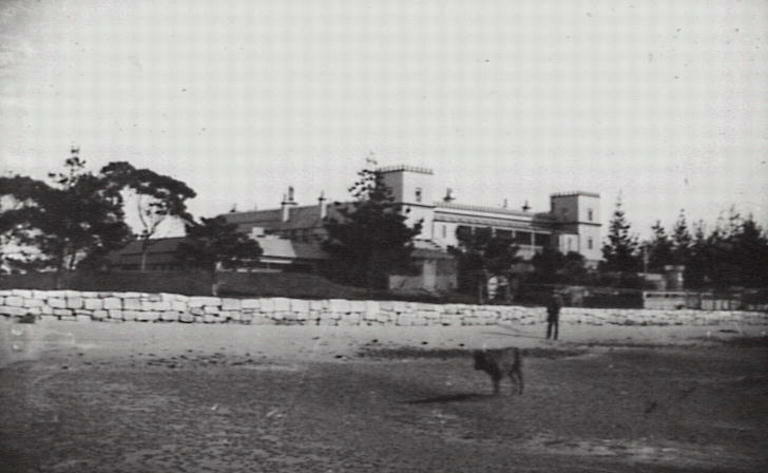 In the 1860s Thomas Holt acquired a considerable tract of land of some 13,000 acres around Kurnell in the Sutherland Shire, including Captain Cook’s landing site. It was here he constructed Australia’s first oyster farm at nearby Gwawley Bay. 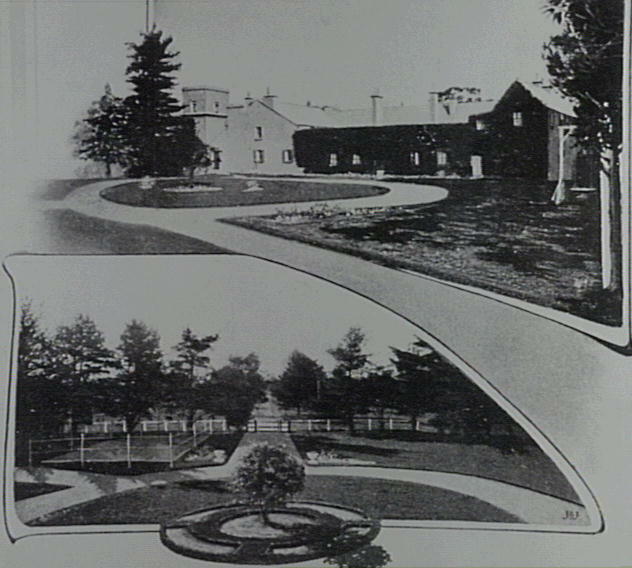 As the estate in Sutherland grew, he employed teams of workers on site digging the oyster claires and tending the property, and in the 1870s established his final mansion known as Sutherland House complete with English park landscape over 786 acres. 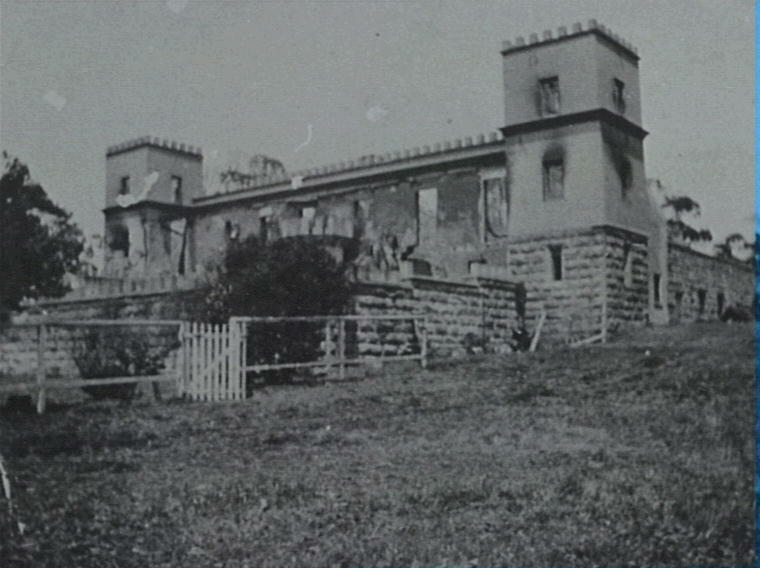 Thomas Holt’s “The Warren” mansion at Marrickville. Image State Library of NSW. Holt’s Sutherland House. The gentleman on lawn may be Thomas Holt. Official dating can be difficult due to the nature of the long-running design use of such cottages, however it is typical of a style of architecture once prevalent in the Shire, and can be traced to be a product of at least the 1870s. As such, it remains one of the oldest buildings in the Sutherland Shire, often reported to be the oldest. The offset angle to the street frontage is testament to the true age of this building. 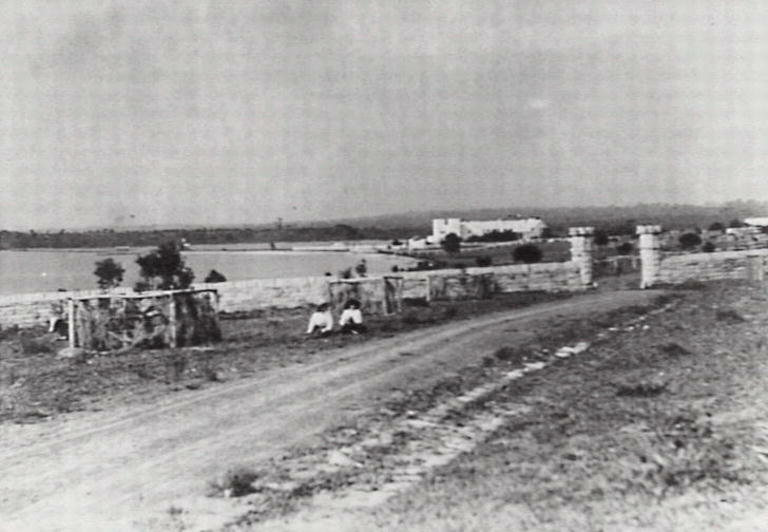 When Thomas left the estate, the land was sold to his son Frederick who resided there for thirteen years with his family before leasing the mansion to Mrs Mary Hamilton in 1894 for use as an infirmary. In 1908 the property was subdivided including the worker’s cottage which was sold at auction on 20 April 1908 with 33 acres. It was once again subdivided into two lots in 1952, but remained relatively unchanged as a structure, being owned for a continuous period of 70 years by the one family, of which Jan Buchanan was the last resident. During this time it was known as ‘The Gunyah’ which is an Aboriginal term for humpy or crude bush shelter. In 2003 Sutherland Shire Council bought the property from Jan Buchanan for the sum of $610,000 and placed it on the Local Heritage List for preservation and future restoration for the benefit of the community. It was thought to be in good hands with the council researching the origins of the building and investigating the possibilities of its next course of action. There have been several heritage impact statements over the years of ownership by council, however no work has been undertaken to restore the house. “No. 5 Evelyn Street North is historically significant as a minimum at a high local level as a unique and tangible remnant of development in the Sutherland Shire from the early part of the 20th Century, and prior to the implementation of smaller lot subdivision. 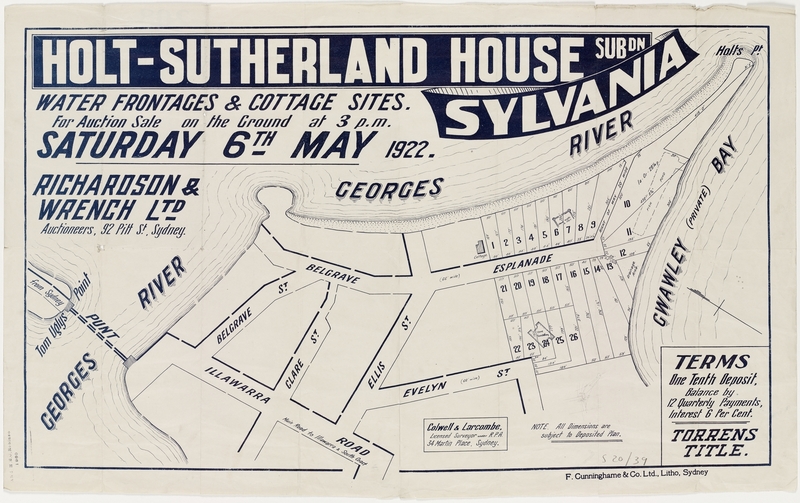 It is likely to be the oldest remnant workers cottage in Sylvania and certainly the only remaining evidence of the Holt Sutherland House Estate – all other buildings having been demolished. The significance of the place is embodied in the associations and historical nature of the existing cottage, how it addresses the street being offset, its extant original and early fabric and mature landscaping, all of which provides tangible historical evidence of the State Significant Holt Sutherland House occupation”. In conclusion, the report suggested a possible candidacy for state significance, identifying the historic links to the Thomas Holt Estate and the rarity of the building within its own geographic environment. In 2007 a comprehensive Historical Assessment of the house was undertaken by Dr. Annable who presented a glowing report to council for the preservation of the cottage. In conclusion, Dr. Annable insisted council take urgent action to preserve the cottage in its original form, and prepare a Conservation Management plan to guide its full restoration and adaptive re-use as a private residence. Her findings were discussed by the council’s heritage sub-committee in 2008, who concurred the necessity to preserve the building, and a report was presented to council in February 2009. Sutherland Estate vista. Image Sutherland Shire Library. Holt’s grand Sutherland House. Image Sutherland Shire Library. Thomas Holt’s Sutherland Estate. Image Sutherland Shire Library. Questions are now being raised as a result of council’s total disregard for previous heritage assessments that clearly convey the importance of the house at a local and possible state level. 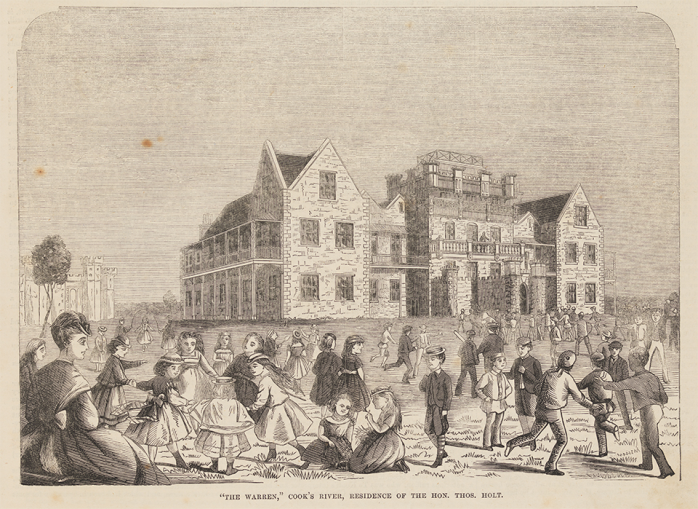 The originality of the structure, the intact fabric of its construction inside and out, and its historical context relating to the Thomas Holt Estate all show with blinding light the significance of such a building to the very make-up and culture of the area and indeed the early years of Sydney’s expansion. Sutherland Council nominates the prohibitive costs of restoring the house as the reason for proposed demolition. Originally it was slated to cost somewhere in the order of $200,000, now it is claimed that those costs have blown out to $495,000. “In its current state it is derelict, it would be irresponsible to invest more council funds in this property” said Mayor Kent Johns (in fact it is only derelict because council allowed it to become so). With the land and property being acquired several years ago for the sake of preservation and restoration, monetary sources should have been allocated long before this point in time. The fact council wants to demolish the building before the sale also raises questions as to their real motives… Why demolish rather than sell as is and offer potential buyers the opportunity to restore one of the oldest buildings in the area and own a piece of historically significant real estate? Most private vendors always sell their land with a house in tact, no matter whether it is to be restored or offered as a potential development site – what the buyer then does with the property thereafter is up to them. It seems clear in this case the council wants this house off the LEP and gone from sight, perhaps to increase the base value of the land it sits on. I personally believe the house is far too important to let go so easily. I would like to see the cottage remain in public hands, and restored, as historian Edward Duyker has suggested, in collaboration with local TAFE trade schools. Once restored the cottage could serve unlimited potential as a working museum, art studio or classroom, perhaps focussing on the crafts of the late 19th century. There would also be room for a period vegetable garden outside serving gastronomic fair of the era and educating modern day students how the lives of working families were once lived in the Shire. Its proximity to historic Botany Bay could position the Sutherland Shire as a place not only to associate with the early days of settlement but also a place to see it in palpable action. A rare opportunity indeed to uphold some of the original character of the area that may be taken away once and for all if the current crop of cash hungry councillors get their way. We all know just how important it is to keep things like this alive, the question is, do we have the necessary will, the tenacity and determination that those early settlers had, in order to maintain this tiny piece of early pioneering heritage in the middle of an upper-middle class Australian suburban ideal – the kind of place that this very cottage helped create. Click on images below. All pictures Inheritance. A vital link to the Sire’s history, under a threatening cloud. Image Inheritance. IMPORTANT: CLICK HERE to make your submissions on the Sutherland Shire draft LEP before 17 September 2013. Removal of the Thomas Holt cottage at 5 Evelyn Street Sylvania should be utterly opposed among other heritage removals. An earlier post on the Thomas Holt Sutherland cottage here. An earlier post on Sutherland Shire Council’s Draft LEP plans here. NOTE: As predicted, “buildings like this Art Deco Commonwealth Bank are at risk…” Guess what, a DA has just been announced that will add extra levels and potentially ruin this famous building.